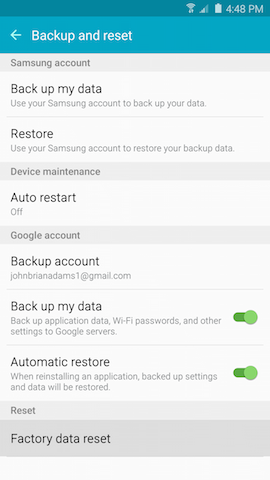 Galaxy Note5: How do I delete all of my personal information from my Samsung Galaxy Note5? 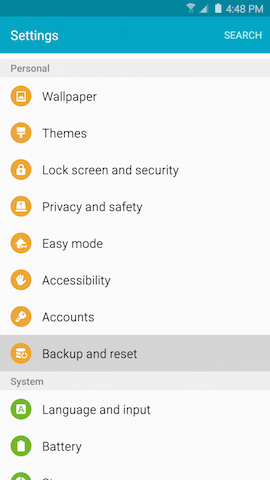 3 Scroll to and touch Backup and reset under the Personal tab. 5 Review the information provided and touch RESET DEVICE. 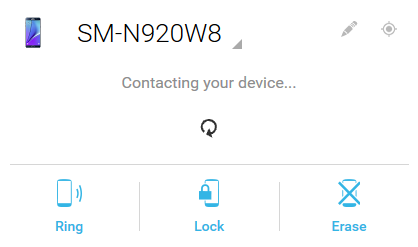 6 If you have a security lock set on the device, you will be prompted to enter the lock information before proceeding. 7 Touch DELETE ALL to delete all information and downloaded applications. Note: The Google Settings shortcut may be located within the Google folder. 3 Scroll to and touch Security. 4 Touch the slider next to Allow remote lock and erase to turn it on. 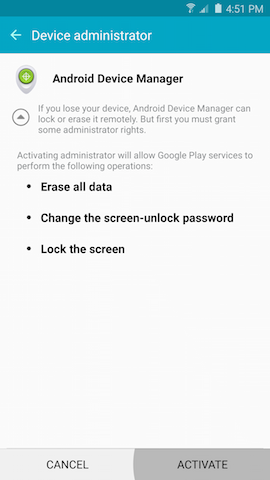 6 From your computer, sign in to the Android Device Manager webpage using the Google Account associated with the device you want to locate. 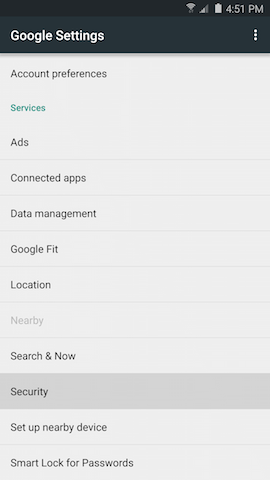 7 Click Accept to let the application send the location data to Google. 8 An interactive dialog box displays in the top-left corner. 10 Click Erase again to confirm deletion. 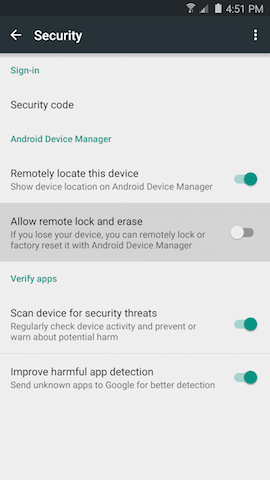 Galaxy Note5: How do I use Find My Mobile to remotely wipe my Samsung Galaxy Note5? 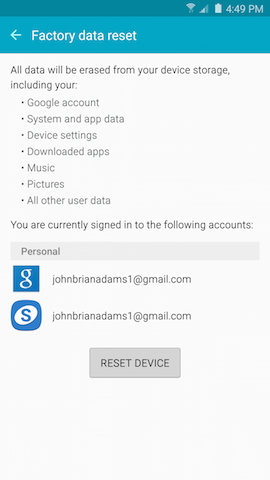 How to transfer data from my Google™ Account on NFC compatible device to my Galaxy Note5?